encourages a love of reading for everyone involved. Students from both our Lower and Upper Elementary levels participate by visiting our Preschool or Kindergarten classrooms, seeing their past teachers and friends, and reading one of their favorite books out loud to a group of students in the class. 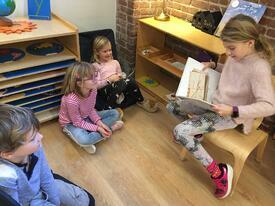 Our older students love to have this opportunity to interact with younger friends and siblings, talk with their former teachers, and share a fun story with their classmates. They always enjoy having another opportunity to be leaders in their community, and give the younger students something to aspire to. Everyone has fun picking out which stories to share, and showing off how much their skills have grown since they were in the Early Childhood program themselves. 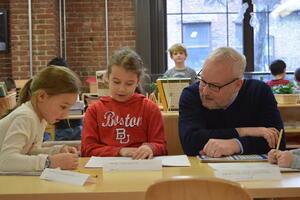 Of course, our younger students think that this experience is just as wonderful. They get to hang out with the elementary-aged children, which is exciting enough on its own, but it also increases their enthusiasm for reading. Being able to watch their older friends read books and tell stories motivates our Early Childhood friends by showing them that reading is something they can do—and soon! They can't wait until it's their turn to give back to their younger friends, and show off their own newly-acquired reading skills! Recently, we've also introduced the Kingsley Publishing Party. These get-togethers allow Lower Elementary students to share the stories that they have been creating in class with their younger peers. 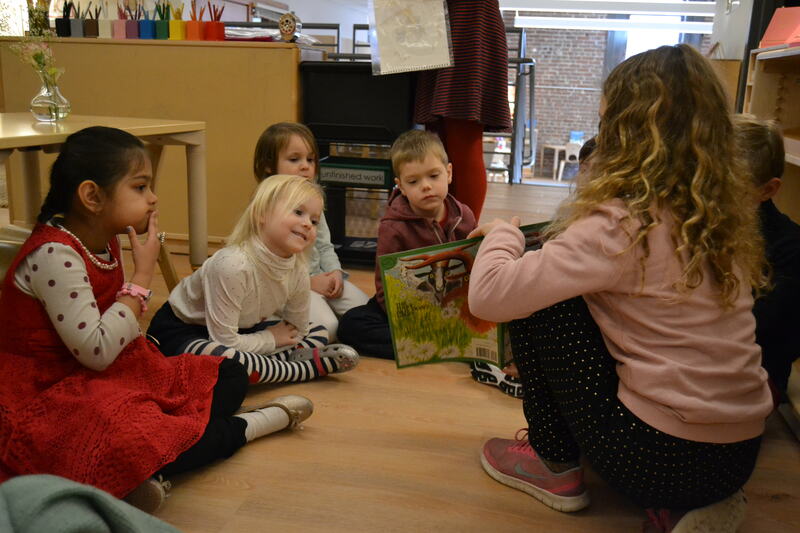 When the students of a particular Lower Elementary class have completed their story books, they invite the Kindergarten class, along with other community members, to come and hear the stories. This awesome community-building activity motivates the Lower Elementary students to work hard on their story books, and put the finishing touches on them before the Publishing Party. The Kindergarten students are enthralled by the great stories and pictures that their peers have created, and are excited to be invited into the Lower Elementary classes to be part of the process. Check out selection of great books for Early Childhood readers, here.